Like many other high school students around the world, this summer I have been plagued tasked with completing summer assignments. 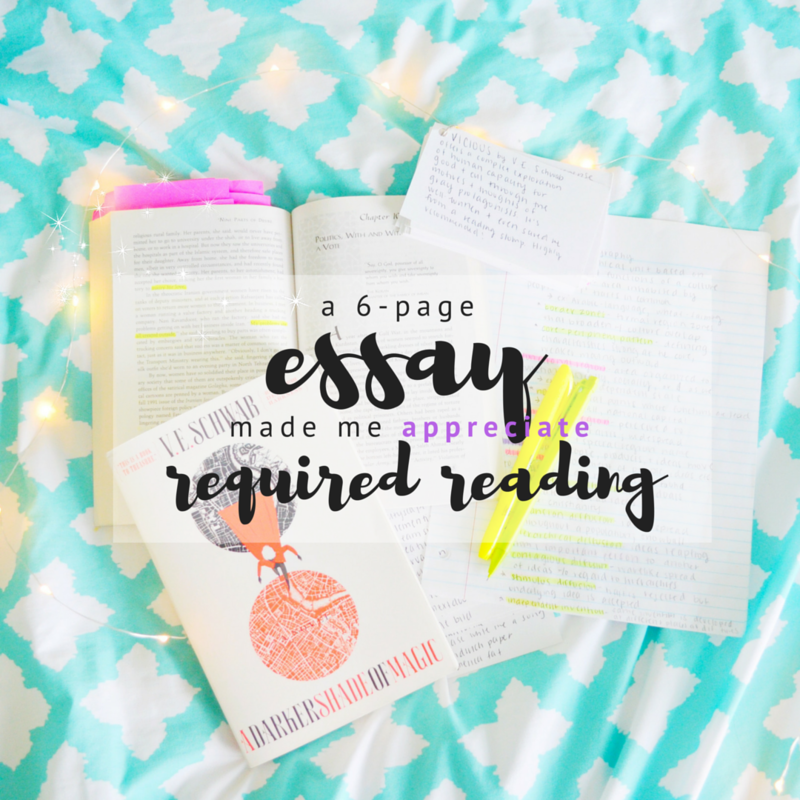 The homework ranges from essays and annotations to labeling maps and taking notes, but the most prominent assignment across all my subjects is required reading. You can imagine how *excited* I was to learn that one of my reading assignments required a four to six page book review featuring the book's relations to themes of geography and personal connections. I was provided a short list of stories to choose from. I selected Nine Parts of Desire: The Hidden World of Islamic Women, a nonfiction book by recognized journalist Geraldine Brooks highlighting Islamic feminism, her experiences reporting in Islamic countries, and the importance of interpretation and representation. I'm not entirely sure what drove me to pick this book. Naturally, the title piqued my interest, and I recognized that I was uneducated in the subject. However, I could have easily selected a book that more closely fit my reading comfort zone. But, on a whim, I bought Nine Parts of Desire and began reading maybe a week later. While I can say the book was an enlightening read that I learned much from, I can't say I "enjoyed" the activity itself; several of the beginning chapters quite literally made me lose my appetite. I felt myself grow angry and almost sporadically become happy as I read through the real, positive and negative experiences of diverse women. I am ultimately grateful that I read this book. Afterwards, I even felt accomplished for pushing myself to read a book outside my typical genres. My transition from hesitant to appreciative and proud made me consider my personal views of required reading. Before even beginning this homework assignment, I was immediately overcome by feelings of disdain and stress. Unsurprisingly, I've approached previous required reading assignments in similar fashion: initial suspicion and later grudging admiration of the particular story or author, especially if the book happens to be nonfiction. I'll be honest. I give required reading a bad rap. Reflecting on these previous experiences with required reading, I'm slowly realizing that school-assigned books have often exposed me to new topics and forced me to try genres that -- if I'm honest -- I never would have approached on my own. 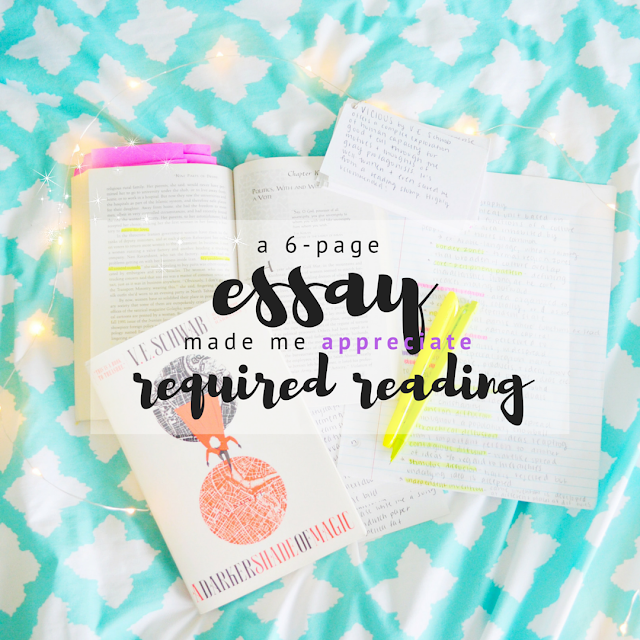 Just last school year, required reading introduced me to The Glass Castle by Jeannette Walls, Room by Emma Donoghue, and Speak by Laurie Halse Anderson, novels I never would have picked up on my own accord. This is not to say that I have loved every book I've faced through required reading. I've had my share of books I unwillingly dragged myself through simply to complete an assignment. Gradually, though, I'm striving to be more open minded towards these titles, particularly nonfiction. For teen students like myself, I think selecting our own books for pleasure reading is crucial to encourage a lifetime of reading. Off the top of my head, I can name several young adult fiction novels I'd have schools add to their required reading lists. Simultaneously, though, exploring unfamiliar interests and topics is equally as important, and required reading offers an outlet to do this. Approaching my next two required reads for the summer, A Separate Piece and To Kill a Mockingbird, I will try to set aside my own pre-reading assumptions about classics, chiefly while reading the latter. While annotating, I may complain. While outlining, I may complain. While drafting my essay, I may complain. But in defense of required reading, I'll strive to give the book a fair chance. I'm definitely not the biggest fan of required reading. I appreciate it, but honestly, I rarely like it. I do really like when there's a choice from a list of books, but unfortunately, that hasn't happened too much for me. I'm glad you ended up liking the one you chose! And To Kill a Mockingbird is one of my favorites - I hope you like it! Thanks, Clara! I just finished To Kill a Mockingbird, and although I was hesitant to read it (I must admit I may have slight prejudice against classics) I really enjoyed it! I think it has become one of my favorite books. I really liked Room and Speak! Room, interestingly, is divided into parts. I will say I found the later part a bit slower than the beginnings, but I still found the book memorable and a worthwhile read! I'm happy you enjoyed required reading. I never do. It's boring and tedious. And that's through experience. I had to read Between Shades of Gray. And it was, by far, one of the most boring historical novels I've ever read. Sure, it exposes you to new things, but I'd rather stick to good old YA. I haven't read Between Shades of Gray, but I'll take your word for it😂😂. I do love reading YA books, and there are quite a few I'd have added to required reading lists if I had the choice. I'm typically very against required reading, well not the act of it, but how it is executed (if that makes sense). But in the last year I was forced to choose 2 nonfiction books over summer break to read, and I really ended up liking one of them, one that I never would have read otherwise. I still dislike how required reading is executed, and I really despise writing essays for school, but I have gained an appreciation for it. This past year I took AP Language and Compisition, which is all writing. We read a grand total of one book and we didn't pick it apart (which I immensely enjoyed), but I found as AP Literature slowly approaches for next year that I have missed reading in school. I don't always like the books picked or how everything is done, but I like reading in school and discussing books. Then again, I have yet to start my summer reading project, so you're about a million times more productive than I am. Anyway, this long comment is just meant to say that I really like and can relate to this post! I completely agree with you, Erin! I'm coming to love the *reading* part of required reading-- discovering new titles I formerly would never have picked up, pushing myself outside my comfort zone a little, trying something new. I don't, however, love some of the process-- the tedious annotating and note taking worksheets, the reflection essays, and the redundant busy work. I'm trying to stay more open minded when it comes to my summer homework, though, and so far, so good (aside from my essays XD)! Oh yeah I struggled really bad with required reading especially since I took Honors and AP classes for English haha. Like you said, though, I was exposed to books I probably would have never picked up like The Bell Jar for instance. I think the way some school systems do required reading isn't great, but I think it helps teens open up their mind. Oh, I haven't read The Bell Jar! I'll have to look into it. I agree that much of the process, as I mentioned to Erin is tedious and ought to be reformed (especially in terms of the busy work and essays), but I am grateful for the new reads.